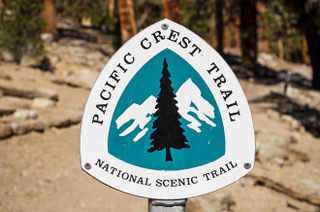 Each year, hundreds of hiking fans and wilderness lovers embark on an incredible adventure: the Pacific Crest Trail (PCT). This long-distance hike is located on the West American Coast and goes through three states: California, Oregon and Washington. Thru-hikers, aka people who complete a long-distance trail from end-to-end in a single trip, usually go northbound, leaving Campo, California, around April and arriving in Manning Park, Washington, in September. 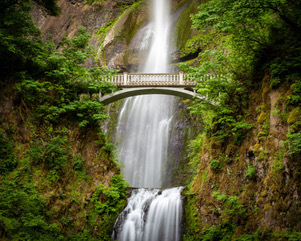 Along the 4,729 kilometres of the trail, hikers pass through 25 National Forests and seven National Parks, including Yosemite, Crater Lake and the North Cascades (you can learn more about American National Parks in English Now 98). The trail offers a wide range of natural landscapes: from deserts to mountain ranges, through lakes and forests, backpackers avoid civilisation and discover scenic and pristine lands. 2018 marks the 50th anniversary of the PCT: it was designated a National Scenic Trail in October 1968, but it was only in 1993 that the whole trail was declared finished and fit for hiking. So far, about 5,000 people have completed the thru-hike, but each year dozens of people walk on the trail, either for a few kilometres or through an entire state. For highly motivated and highly prepared hikers, the completion of the whole hike takes about 145 days, meaning that they walk about 30 kilometres a day. The trail requires preparation, dedication, organisation and a big budget: people usually plan their adventure for about six months before heading out on the ground. 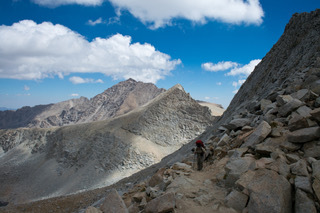 Timing is key, and most backpackers go from South to North in order to avoid snow on the highest locations of the Sierra Nevada. Buying the appropriate backpack and the necessary gear is key to success: hikers spend months choosing a light but solid backpack, and buying signalling devices, a first aid kit, navigation gear, tools such as knives, cordage, waterproof matches, a stove or a water filtration system. This high level of preparation is necessary to face the multiple dangers awaiting the backpackers: they can encounter wild animals (snakes, bears, coyotes…) along the path, as well as poisonous plants. Water is also a big issue. 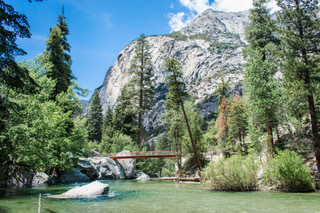 Indeed, hikers can suffer from heat exhaustion or dehydration, but some areas can also be flooded very quickly, and crossing rivers is not always an easy task. Planning when and where to resupply food and water also takes a lot of time, but it’s all worth it! it's all worth it! : ça en vaut vraiment la peine !